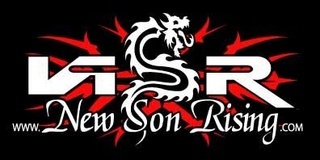 Breathing out from the ashes of self - torment and inner struggles, New Son Rising brings a new flavor to a familiar story. Lyrics that reflect desperation and pain at times spark to a more uplifting feeling of revelation overcoming of ones demons. In a very short period of time, New Son Rising has caught the attention of both college and commercial radio personalities, along with other important music industry gurus. Their 8 song EP has music for everyone that shifts emotions up and down the spectrum. NSR has been fortunate enough to share the stage with top acts out of Boston, and various national acts, such as Josh Todd, Sevendust, Drowning Pool, Drop Box, Adema, Brides of Destruction, Kittie, LA Guns Scum Of The Earth and Nonpoint, that have performed in this market.